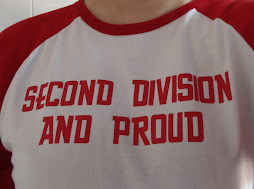 Second Division And Proud: SUPER HOOPS? Congrats to QPR (well all except their supermodel manager) on keeping up the fighting spirit of the 2nd division in the league cup last night by defeating 1st division Villa. Sheff Wed home on Sat seems like ages since last home match - up the Addicks! THIS IS THE MODERN WORLD? Move over Paulo ... here comes Big Chris! SPARE A THOUGHT FOR DERBY?